ABC Pure water company is a company incorporated in 2015 with RC No ******, to deal on production and processing of food products, packaging of bottle/sachet table water and water based products eg yoghurt/fruit juice, which are needed by everybody and very necessary for life existence. The business promoter: Uche Okonkwo is a degree holder in Food Science and Technology/PGD in Business Administration, 5 years working experience as a Quality Controller/Production Manager and had undergone training organized by NAFDAC on production of sachet/bottle water and water based product eg. Fruit juice & yogurt. Currently, we have started production and marketing of sachet water with trade mark name “xxxxxxx” water NAFDAC NO. ******* in 2016. We required more fund for expansion into production of bottle water and water based product. The estimated budget for expansion requirement is 13,460,000. This will be funded by Sabmiller Hero Kick start foundation and personal contribution. Our products are affordable, best quality, durable and attractive packaging. The profitability of this business is not doubt as projected sales is 60,372,000, per annum. Profit is about 100% of investment on annual basis. ABC Sachet and Bottle water company is the first indigenous water production company in my community, expansion of this business will contribute subsequently towards realization of these objectives. Reduction on the level of unemployment. Solve the problem of scarcity of portable water in my area. To be well known Entrepreneur in Food Processing in Nigeria. One of the leading Entrepreneur in table water and water based product. Our mission is to provide top quality, affordable, durable products, refresh our consumers, and enrich the live of our local communities. This will help to provide greater long-term profit through referrals and repeated business. Production of sachet/bottled water and water based products eg. Yogurt selling of portable water for bore-hole. We have already started production and marketing of sachet water, we want expand into bottled water. ABC Bottle water company is a private company, legally registered with corporate affairs commission. Its also registered for product brand name i.e. trade mark, patient & designs with Federal Ministry Of Industry Trade & Investment Nigeria, obtained product registration number with National Agency For Food And Drug Administration And Control (NAFDAC) for production and marketing of sachet water. LOCATION: ABC Pure water company is located at NO 10 Table Water Crescent, Sachet Water Estate, Lagos Nigeria. Factory building comprises of production room, clock room, finished product room, laboratory room and offices, raw materials room. Equipment: Delivery van, 25KVA Generator, overhead tank stand with 3000 liters PVC tanks, water treatment plant, 1 packaging and sealing machine for sachet water, U.V. sterilizers pumping machine. 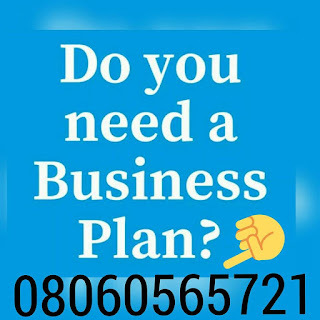 After payment text your name and e-mail address to 08060565721 and you’ll receive your PURE WATER BUSINESS PLAN IN NIGERIA / FEASIBILITY STUDY.